Silicon Valley Wants Black Coders. What’s The Issue? Ken Chenault is not a coder. He has a B.A. in history from Bowdoin College and a J.D. from Harvard Law School. He is the CEO of American Express. I had the good fortune to get to know him years ago. Our children attended Fieldston together, a private school in the Riverdale section of the Bronx. He is one of the most accomplished CEOs of the Fortune 500. He has been the CEO and Chairman of American Express since 2001. That’s no easy feat. 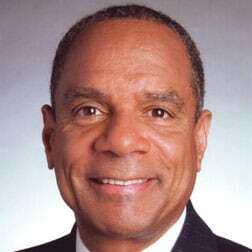 He is the third black CEO of a Fortune 500 company. His commencement address at Howard University details how his father and mother met and fell in love there. His wife’s grandfather was an early architect at the University. His mother-in-law and father-in-law both are graduates. What does Ken Chenault have to do with black coders in Silicon Valley? Everything. In a Fortune Magazine article, he detailed a $25 trillion dollar opportunity. American Express is embedded in the technology platforms that matter. There are five platforms that matter to the future of payments: Apple, Amazon, Facebook, Google, and Alibaba. American Express will be embedded in each. In other words, technology companies may deliver the connections and the content. But American Express delivers the money. To deliver said money, American Express had to build a more scalable and cost-effective back-end data processing infrastructure. To do, American Express had to move away from the traditional data warehouses and more into a new Hadoop stack. It is the back-end system for a slew of new services that are driving revenues for the company. American Express is all about the technology. American Express built the technology infrastructure through which trillions of dollars flow. While Senior Vice President, Enterprise Technology Head of Data and Digital Sastry Durvasula, and Vice President of Information Management and Integration Kevin Murray built the thing, CEO Ken Chenault leads the charge. He is the ultimate technology commander-in-chief. Mr. Chenault’s leadership is visionary and unstoppable. Though he did not attend Howard University, he shared how his parents, like other graduates, left the University confident they would meet what the writer Albert Murray called our “indelible ancestral imperative to do something and become something and be somebody.” The apple doesn’t fall far from the tree. So how is it that Silicon Valley has determined black coders — Howard engineering graduates — are somehow not worthy? Granted, this whole tech diversity thing is complicated. 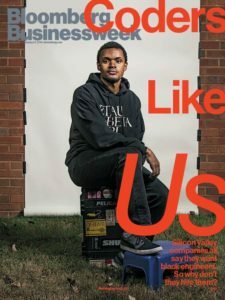 Still, Bloomberg Businessweek reports in excruciating detail in Coders Like Us how multiple diversity ambassadors from the leading Silicon Valley technology firms were sent to Howard University. They came, they saw, and they failed to conquer the vast racial divide. While African-Americans comprise 13% of the U.S. population, just 1% of coders at Google, Facebook, and other leading Silicon Valley tech companies are black. If it is so very hard for Silicon Valley Companies to hire deserving black coders, you can draw a straight line from that gap up to the lack of diversity at the senior executive level. Again, I come from a place of wanting to fix this thing. We all have unconscious bias. We, humans, are born that way. We must become mindful of the bias within. That is why so many technology companies with so many well-intended diversity programs still have trouble achieving parity. There are things that can work against all those diversity initiatives: employee referrals for one. They have a way of perpetuating homogenous populations, unwinding the best-laid plans for leadership diversity. I’ve witnessed that first-hand. For more on diversity in the technology industry, check out our post, Gender Diversity Study: Silicon Valley 150 Walk-of-Shame.